Poetry Is Productions brings poetry into all that we do, be it theatre, film, dance, publishing, or a new project. Robert Eric Shoemaker is a poet-playwright, theatre artist, and arts journalist. Eric is an MFA Candidate in Naropa University’s Creative Writing & Poetics program at the Jack Kerouac School of Disembodied Poetics. His poetry and plays have been featured in Mosaic at University of California Riverside, “Tooth N’ Nail”, Rollick Magazine, “Literature Emitting Diodes”, The Chicago After Dark Anthology, Thought Notebook, Baseball Bard, 2017’s “Verde Que Te Quiero Verde” from Open Country Press, and his debut collection “30 Days Dry” from Thought Collection Publishing, which has been hailed as the work of “an undercover prophet” and is now available on various platforms including Amazon. Eric’s second book of poetry is forthcoming from In Extenso Press, with a third on the way through Partial Press, both expected in 2017. Eric’s journalism has been published in Beats: A Naropan Periodical (where Eric is founding editor), Boulder Weekly, Newcity, Evanston Now, Fra Noi Magazine, Artisan Magazine, Printeresting, VAM, and through the Pulitzer Center on Crisis Reporting Campus Consortium Fellowship, which sent Eric to Venice to cover Artisanship and Climate Change. 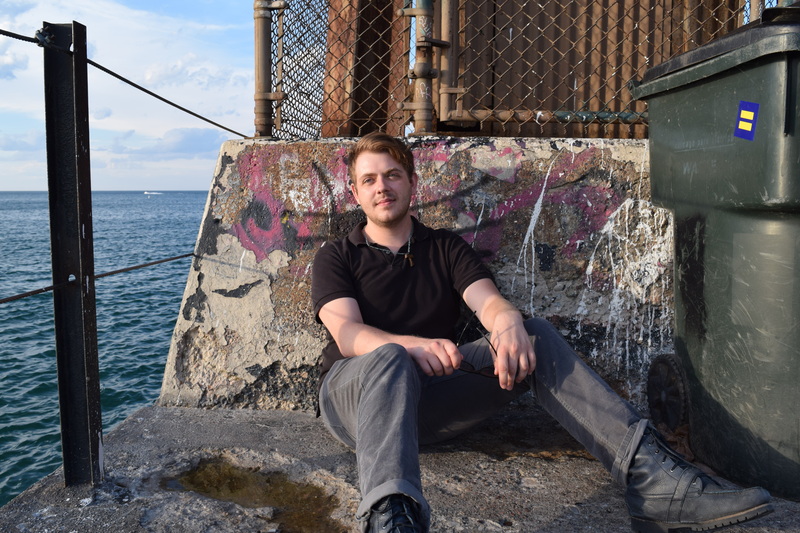 Eric is the author of the duet musical PLATH/HUGHES, which was awarded the 2014 Olga and Paul Menn Foundation Prize for Best Play and has been produced throughout Chicago and in New York. His project “Lorca In America” was awarded a 2015 DCASE Individual Artist Program grant from the City of Chicago, and featured the production of his original translation, BERNARDA ALBA AND HER HOUSE, at Redtwist Theatre. Other productions of Eric’s plays have included WILDE’S SALOMÉ; PHAEDRA, RELEASED. ; WAR OF THE WORLDS; and TRANSFORMATIONS: AFTER OVID. Eric has worked with Chicago’s Redtwist Theatre, Steep Theatre, New American Folk Theatre, Tympanic Theatre, Gorilla Tango Theatre, City Lit Theatre, American Theater Company, 3 Brothers Theatre, Mary-Arrchie Theatre Company, Skokie Theatre, the Chicago Musical Theatre Festival, and San Diego’s The Old Globe through Play by Play. Eric is a graduate with honors and a student marshal from the University of Chicago, where he was Artistic Director of the Classical Entertainment Society. Follow his work at reshoemaker.com.